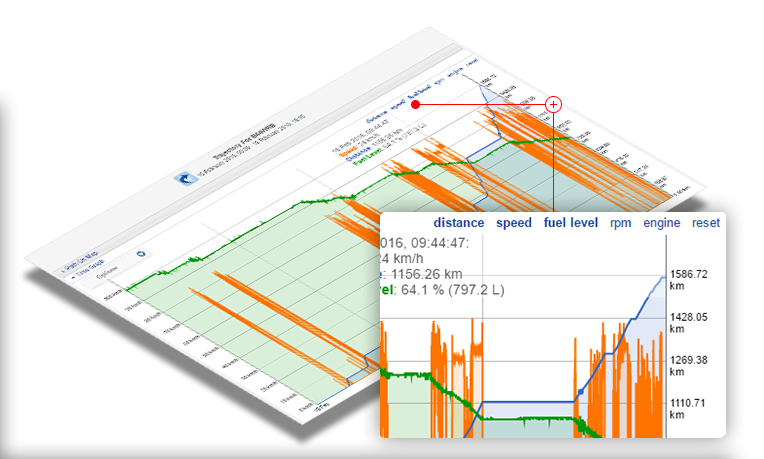 Monitoring instruments do not automatically improve the fuel consumption, but provide important information based on which you can identify anomalies or possible problems and take measures to make the fuel consumption more efficient.SafeFleet allows an accurate measurement of the consumption and the integration with the SafeFleet Portal of a method dedicated to monitor the fuel consumption. 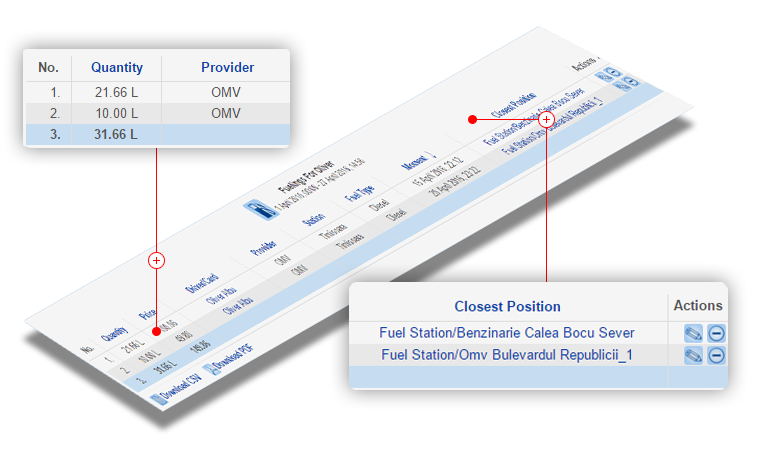 The SafeFleet telematic unit can connect to the FMS standard interface of the vehicle or through a VDI additional module, which allows the reading of fuel consumption figures directly from the vehicle’s on-board computer. This option is very popular because you can collect information such as: fuel level in the tank, on-board odometer, engine speed or data from the tachograph. This method involves the acquisition and installation inside the tank of a digital probe which will be used to measure the fuel level. It is one of the most accurate methods, because it offers not only calculation of the consumption based on fuel level variations, but also provides alerts in case of sudden level variations, which points to fuel theft or fueling. 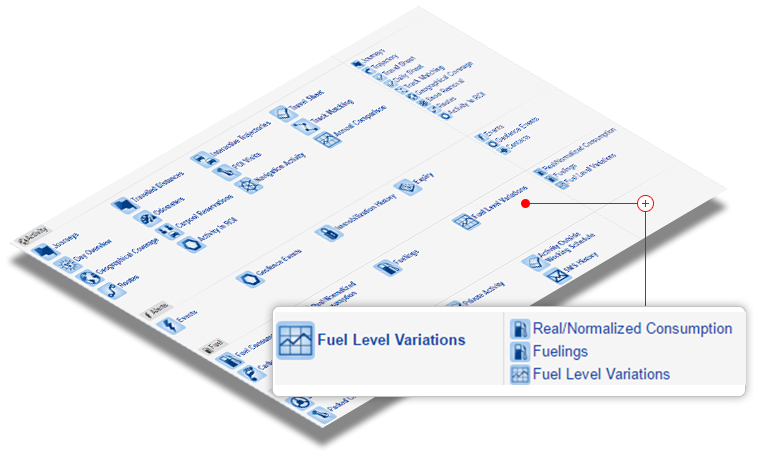 This option involves the import of fueling performed from refuel to refuel. 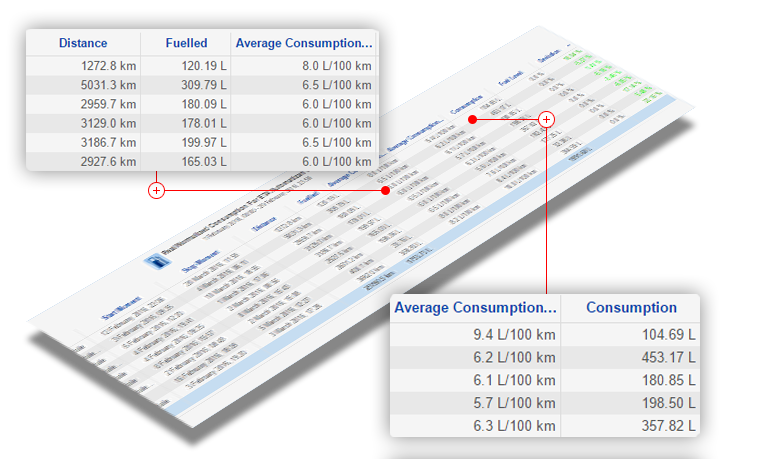 If the company uses fuel cards, the fueling from fuel suppliers can be automatically imported through SafeFleet, and the consumption is calculated based on the distance travelled between one fueling and the subsequent one. The simplest option involves the input of data from the vehicle’s instruction book and the calculation of the consumption based on the average consumption values specific to each and every vehicle. The advantage of this method is that it does not imply any additional costs or equipment.